Claire and Bill Douglas with their 15 Year Service Award. 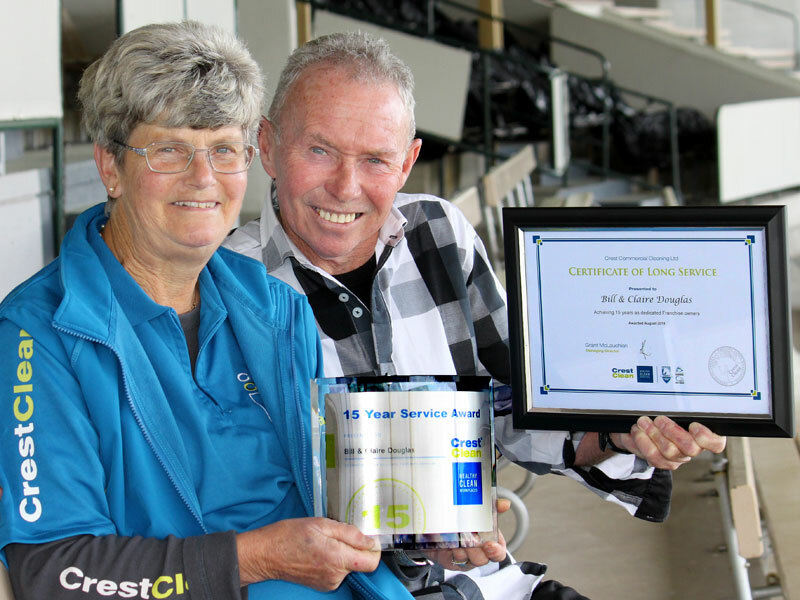 The couple were the first CrestClean franchisees in Rotorua when they started their business in 2003. They were Crest pioneers after becoming the company’s first franchisees in Rotorua 15 years ago. Bill and Claire Douglas threw themselves into the work, learning on the job as they picked up more customers in the central North Island tourist city. They were so busy it left precious little time for anything else. “We didn’t have a holiday for the first few years and we worked seven days a week,” says Claire. 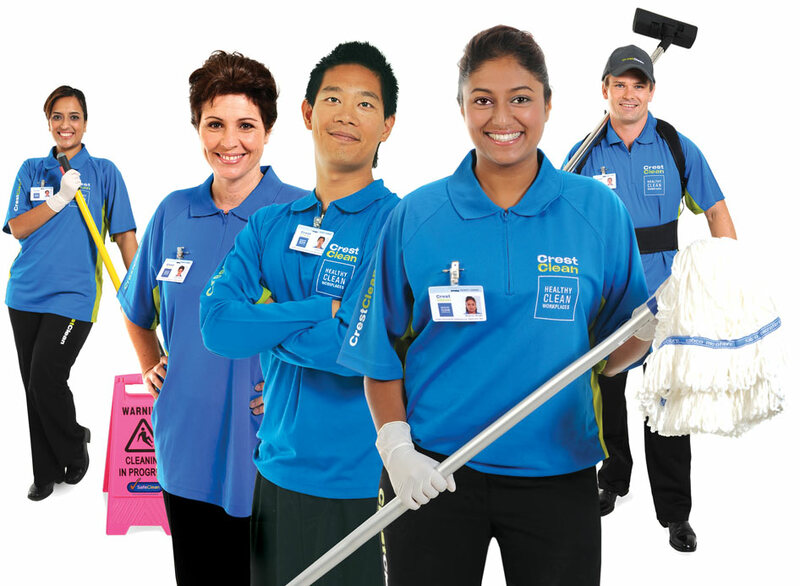 Within three years of buying a franchise their business had grown fourfold, as Crest gained a strong reputation for high-quality cleaning and good service. Bill’s dedication to CrestClean was later recognised by the company when he was appointed as a master franchisee, his region covering Rotorua and extending to Whakatane and Taupo. The couple are well respected by franchisees, with Bill often going out of his way to help new franchisees settle into the community, steering them down the path of homeownership. Bill says he has a knack of generally being able to see if someone new to the cleaning industry will succeed in business. “I can usually tell from the first day if they’ll be here for the long term. At the annual CrestClean Rotorua team meeting, the spotlight fell on Bill and Claire when the company’s managing director, Grant McLauchlan, made a surprise presentation of a certificate and plaque to mark their long service. “They’ve worked really hard and have been committed to their business. Fifteen years is a fantastic achievement and I’m delighted to present this award to Claire and Bill,” said Grant. Bill and Claire said joining Crest has been life changing, their decision to buy a franchise in 2003 followed the closure of the trucking business they owned. After his business was wound up, Bill purchased a small lawn mowing franchise – but he soon found the work was hard for little financial return. Crest came onto his radar after a friend told him about the company and suggested he check out becoming a franchisee. Like many others who’ve joined the company and worked hard, Bill and Claire have excelled, their business enabling them to build a solid financial future. “It’s made our life a pleasure because at this stage of our lives we are now in a very comfortable position,” says Claire.